do you feel distant from god? Is your heart often discouraged? Are you unsure how to start having a quiet time again? Hi! My name is Sophie and I’m a mom of four. I know exactly how it feels to be overwhelmed by life and distant from God. My hectic-by-necessity lifestyle led to distance from God. I missed quiet time after quiet time. I no longer felt God’s comforting arms wrapped around me. have you experienced that feeling? If you’re discouraged, wish I could reach through the computer screen, hand you a fresh cup of coffee, and tell you: You’re not alone. And there’s hope. Even though life is still crazy today, I’ve shaken off hopelessness. After walking through that dry season, I reclaimed my sweet moments with Jesus. Finding time to just be with Jesus wasn’t easy. With four kids—all under 10 years old, at the time—are you kidding me? It was as easy as juggling, while riding a unicycle, while balancing on a tightrope, while reminding someone not to fight with their brother. It was not easy. But I desperately needed to be with my Saviour. I created a strategy, and I cross-examined my schedule. Slowly, one day at a time, I took small steps to be with Jesus. My life began to change. I started resting in Christ again. I began to experience His peace. I grew closer to God in the middle of my busy life. Today, I still have four kids with me all day, competing for my attention. We still experience accidents and mishaps, schedules and interruptions. I still face the same stressful challenges I faced a few years ago. Nevertheless, today, my life is oriented around Jesus. I can rest in Christ when things are busy and stressful, or when they don’t go the way I’d like. He continues to change me from the inside out. I know that there’s no way I can go back to the haphazard way I approached my faith before. And this year, in 2019, I want to share this joy with others. I’m helping a group of other busy-beyond-belief women grow toward Christ, step by step, in 2019. I know you’re busy. However, the busier you are, the more you need Christ’s peace. Will you let me guide you through the steps that changed my life? Will you join our group of women who want to experience Jesus in 2019? This isn’t your ordinary Bible study. It’s like a women’s retreat: playful, supportive, and deeply encouraging. The Journeying Toward Jesus program comes right to your email each week (no travel required! ), every week, through the end of 2019. The activities only take a few minutes each day, and you’re free to complete them on your own time—whether that’s 5 AM, a lunch break, 11 PM, or anytime in-between. By the end of 2019, you’ll more deeply understand God's love, peace, and grace each day. Afraid you won’t have time? I get it! I’ll personally help you find a way to fit time with Jesus into your busy schedule. When I felt overwhelmed, I didn’t even have time to breathe. If you feel the same way, don’t worry. During your first week of this study, I will personally guide you through finding a few moments each day with Jesus. Even if you’re busy. Weekly roadmap: Every week, I’ll email you an activity designed to draw you closer to God. No extra research, no wondering what to read or do next—all the instructions will be in your email, worry-free. Friendly group: I’ve created a private Facebook group exclusively for this program. Everyone is welcome to share new ideas and cheer each other on. It will also be a safe place to ask questions and post prayer requests. Solid topics: Each month focuses on a single topic. These are thoughtfully selected to guide you to Christ. Struggling to worship in everyday moments? Feeling lost when reading your Bible? We talk about it! We dive into the Bible and deepen our relationships with the Lord. We lean into our identity as Christ-followers. We explore how His grace and peace affect the chaos of life. By the end, you’ll feel refreshed, free, and in love with your Saviour again. Even if your life is (still) busy. Are you ready to sit with Jesus each day, soaking up His peace? If you’re ready to join, fantastic! 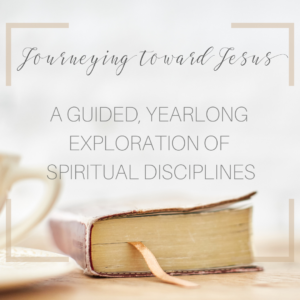 When you join Journeying To Jesus, you get access to a year's worth of weekly devotionals centered around spiritual disciplines. You will immediately have access to all of the weeks that are already available thus far in 2019, and you will start receiving weekly emails until the end of the year. If you have any questions, just drop me an email or a Facebook message. I’ll be happy to answer any questions you have! Curious about what we’ll study? click here to download a sample week, which includes a monthly overview of the topic studied, along with one week's email, challenge, and journaling prompts. That’s why I filled Journeying Toward Jesus study with free stuff. My list of favorite resources, encouraging books, and more - including the powerful audiobook that finally taught me how to meditate. More than anything, I want every woman who joins the Journeying Toward Jesus program to absolutely love the time they spend with us. My desire is to help busy women connect with Jesus in the most loving and encouraging environment possible. 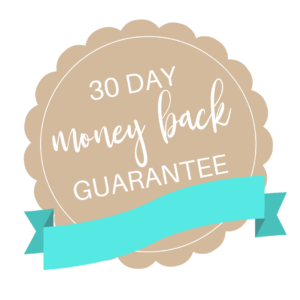 If you join the annual program and decide within 30 days—for any reason at all—that it is not a great fit for you, just let me know and I will refund your tuition, no questions asked. How much time can I expect to spend daily on activities? The activities are designed to be finished within 10-20 minutes each day. However, they’re flexible to your lifestyle. 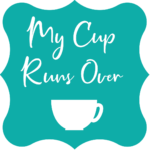 The purpose of this group is to provide fulfilling time with Christ for busy women. Some women may only need a few minutes to feel filled with His Spirit, while others may desire an hour or more. If you aren’t sure you have even 10-20 minutes a day, don’t worry: in our first week together, I’ll help you find 10-20 minutes in your day for time with Christ. If you’re still unsure whether the program is for you, feel free to send me a message on Facebook or drop me an email. I’ll be glad to answer any questions. How will I find quiet moments to do the exercises? I'm with my kids all day. I totally get that. I'm a homeschooling mom of four kids (ages 1-11), so I know how precious a few quiet moments can be! In our first week together, I’ll walk with you through creatively discovering time with Jesus in your unique schedule. Even when I’m busy, I’ve found there are almost always activities that can give a little time to Jesus. Sometimes they’re hard to find. Sometimes it takes a couple tries to find a solution that clicks. But no matter how packed your schedule may be, we will find a way for you to enjoy time with the Lord. If you still have doubts about your ability to complete the program, just send me a Facebook message or an email. I'm more of an introvert. What if I'm not comfortable discussing these things with strangers? And I agree: Sharing things freaks me out sometimes. In this group, you are free to share as much or as little as you like. You don’t have to participate in the Facebook community at all, and I’ll completely understand. However, if you would like to join our discussion, our group will be a completely safe environment. You may actually find it easier to engage in discussions around these personal topics with an online group: None of us know each others’ families or friends, personal history, in-laws, or children's’ teachers. Send me an email or a Facebook message and I'll answer them as quickly as possible. Please note, prices are in Canadian dollars. The JTJ annual membership is approximately $49 USD ($4.08/month paid annually).